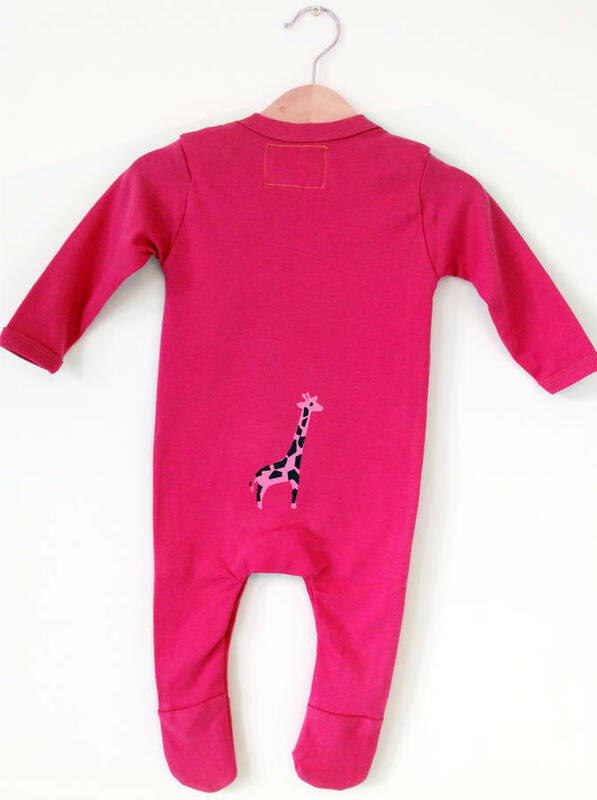 Handprinted Giraffe Babygrow - Girl. 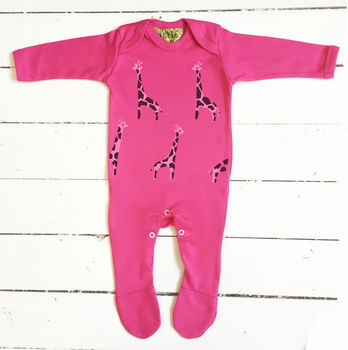 A brightly coloured giraffe print funky animal babygrow in bright pink. 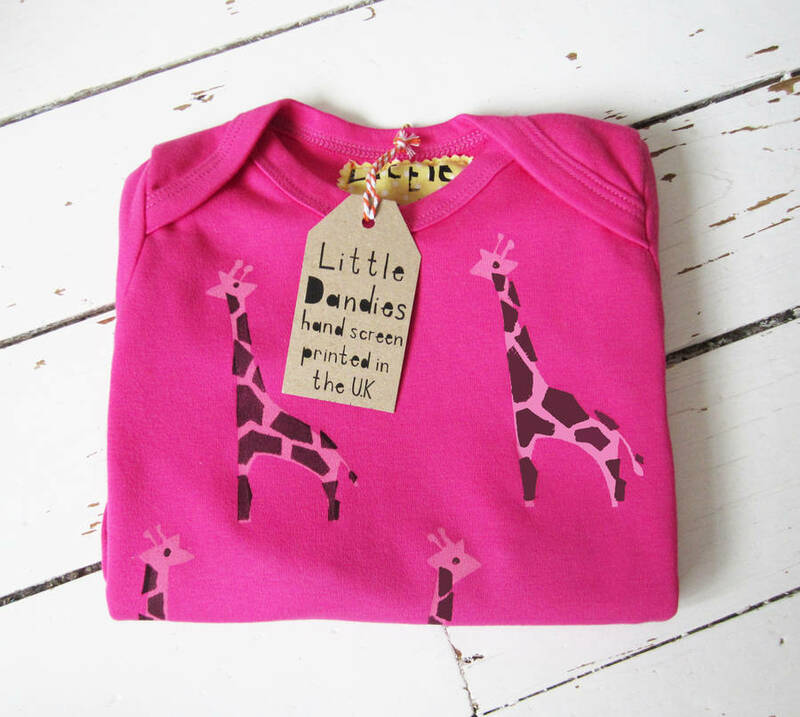 A handprinted wine brown and baby pink giraffe. On the back of this babygrow at the bottom is a small giraffe. 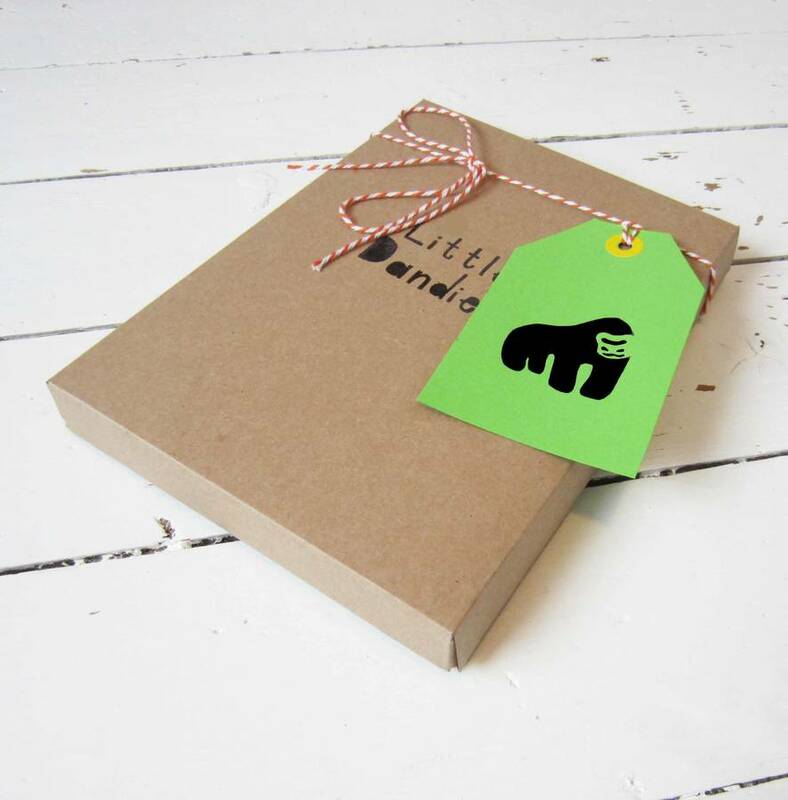 'Little Dandies' animal babygrows are a really fun and unique baby girl present for a newborn.